Rogers has just announced new North American data plans, these plans allow customers to use data while traveling in the U.S with no extra roaming charges. The data used in the U.S is billed the same as if you were in Canada. 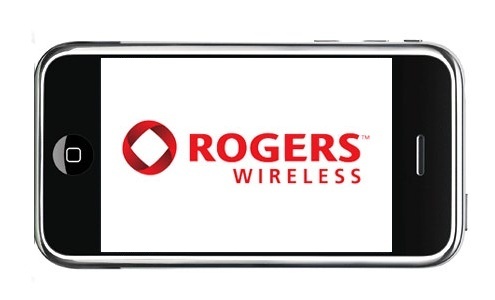 Rogers claims that these plans cost â€œabout $10 moreâ€ than their regular data plans. This is great news unless you are an iPhone user.Rogersâ€™ press release didnâ€™t contain any iPhone specific data packages, and failed to mention if there was an add-on option for peopleâ€™s existing data plans. Many iPhone users are on the $30 a month 6 gig plan that was offered to early adopters. No one using an iPhone is going to give up 6 gigs a month in exchange for 1 gig that they can use in the U.S. I was able to confirm this morning that Rogers isnâ€™t offering an add-on to existing plans and is not planning to offer any iPhone plans. Here is a link to the confirmation on Twitter. Recent history tells us two things about how Rogers treats iPhone users, their first instinct is to screw or ignore them, and they always correct the problem if there is a public outcry. You would think they would have learned their lesson by now, but apparently they havenâ€™t. So itâ€™s time for another outcry. What do you think? Do you agree with Justin’s opinion above about the One Rate Plan?